Rip City Cards (RCC) is not your average case-breaking operation. Established in 2015, Jason, aka "Cardboard Jesus," and Jesse, aka "Cardboard Moses," have taken their laid-back breaking approach halfway around the world. Early into their business, a trip to Tokyo for an exclusive Asia-Pacific Bowman Draft release established RCC as an international breaking operation. Now with over 1,000 breaks under their belt, Rip City and its breakers have been witness to the many trends and swings in the ever-changing card market. This knowledge and experience gives them an edge when it comes to delivering the value and fun that group breakers look for in this highly competitive industry. Across multiple platforms including Breakers.tv, YouTube, and Twitch, Jason and Jesse are happy to answer questions from those new and old to breaking and collecting. See their big pulls and details about upcoming breaks via the Rip City Cards Twitter, Facebook or Instagram accounts. 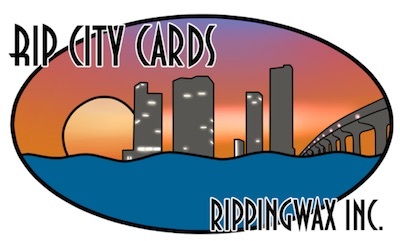 Constantly working to offer promotions designed to give back to their followers, the folks at Rip City Cards are currently running one of the biggest promos we have ever seen. Collectors who partake in specially marked breaks during this promotion will be entered into a $10,000 group break credit giveaway. A total of 50 entrants will be selected as part of the "The March to 10 Dimes" festivities. Once all the spots are filled, a prize drawing will occur where all winners will be awarded group break funds with one lucky person getting $5,000 in break credit! In order to be eligible, collectors must participate in one of the group breaks associated with the promotion. The full list of current offerings can be seen on the Rip City website. Participate in breaks noted as "+10K PROMO"